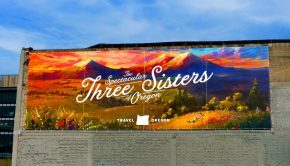 Organizations and groups across the United States are launching OOH campaigns to help combat the US opioid epidemic. In 2017, the US Department of Health and Human Services declared a public health emergency due to widespread misuse of both prescription and non-prescription opioids. It is estimated that more than 11 million Americans abuse prescription opioids, and more than 130 die from opioid-related drug overdoes every day. This month officials in Philadelphia announced a campaign to encourage more people to seek medication-assisted treatment to battle opioid addiction. The goal of the campaign is to show “relatable” Philadelphians who attribute their recovery in part to buprenorphine, as well as therapy. 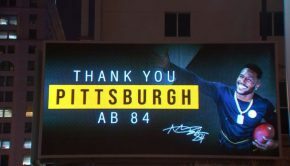 The $200,000 campaign includes ads along public transit lines and Philadelphia bus shelters, as well as two billboards. Pop-up advertisements on social media along with TV and radio will also be part of the campaign. Some of the ads will be in Spanish. Learn more in Philadelphia Weekly. 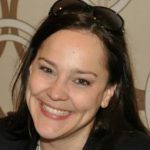 “We need to get the conversation started. That’s the first thing,” he said. He added, “We’re going to run it until it starts growing legs, we get our politicians talking about it, and our local municipalities.” Watch the news report at WIVB 4. 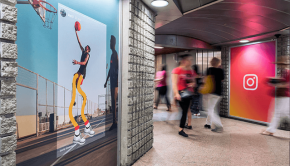 Government agencies are using OOH to spread awareness about efforts to battle opioid addiction. 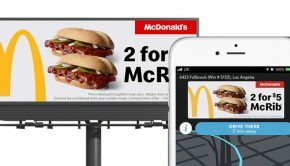 In February, the Drug Enforcement Agency (DEA) launched a yearlong digital billboard campaign across the Chicago area. 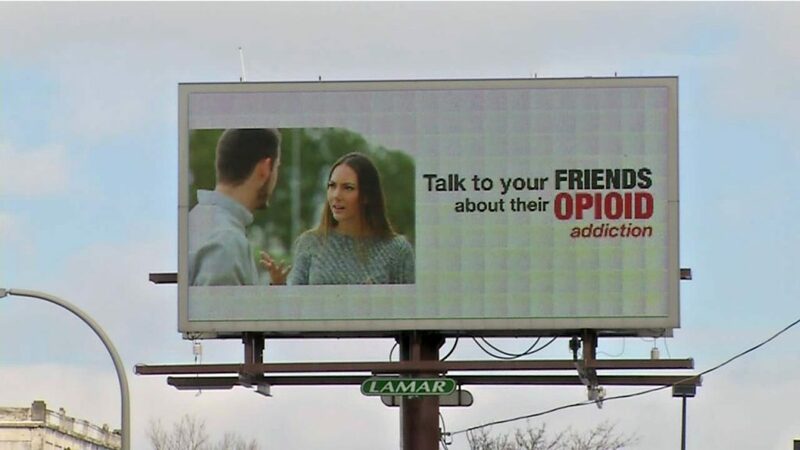 Messages in both English and Spanish are displayed on area roadways, train stations, and other locations, warning passersby of the dangers of opioids, including legally prescribed medications, and outlining treatment options. A digital billboard in Las Vegas seeks tips on prescription abuse. 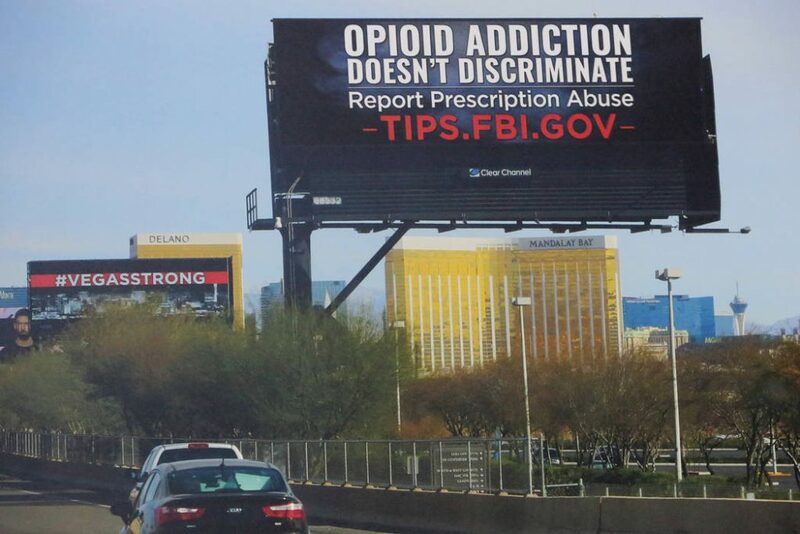 The Federal Bureau of Investigation (FBI) is using 10 digital billboards across the Las Vegas Valley to ask residents to report those they suspect may be illegally selling or prescribing opioids. “We’re hopeful this will have a similar effect,” Rouse said.